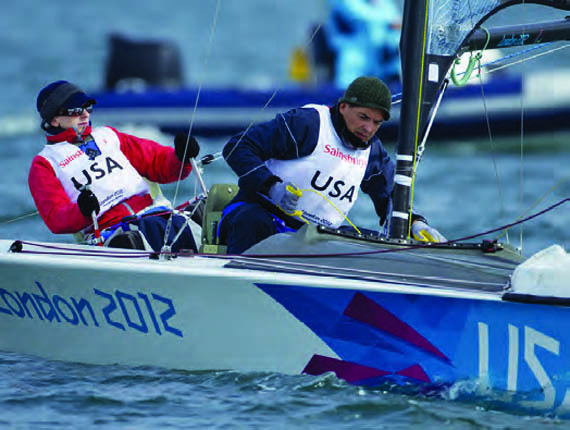 Jennifer French won the US Disabled Sailing Championship in 2009, and last year she and her US Sailing Team Sperry-Top-Sider teammate JP Creignou won the silver medal in the doublehanded SKUD-18 class at the Paralympic Games in England. Jen is US Sailing’s 2012 Rolex Yachtswoman of the Year – the first woman to receive this honor for achievements in disabled sailing. Not bad for someone who was told by doctors that she’d be confined to a wheelchair for life after being paralyzed in a snowboarding accident. In 1998, Jen lost control on an icy slope and slid off the trail into the trees, sustaining a severe spinal cord injury that left her a quadriplegic. Refusing to accept a wheelchair-bound life, she sought out experimental new technologies for people with spinal cord injuries. The following year, she participated in a clinical trial of the Implantable Stand & Transfer System and is the first woman to receive this revolutionary neuroprosthetic system. Working closely with the research team, Jen helped develop neurotechnology, defined as “the application of medical technology, devices and treatments to improve functions throughout many parts of the body.” This emerging medical field has helped hundreds of thousands of people with neurological or psychiatric disabilities. Today, Jen is the Executive Director of Neurotech Network in Tampa, FL, a non-profit organization dedicated to improving education about neurotechnology and providing advocacy for its accessibility by people with impairments. 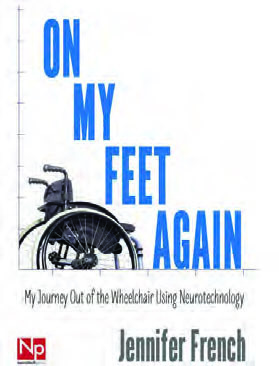 On My Feet Again is an exceptionally inspirational book by a truly amazing woman. It’s available, in both print and e-book editions, at amazon.com, where it has garnered a string of 5-star reviews. To learn more, visit onmyfeetagain.com.